The story of how supermodel Claudia Schiffer and her husband, film director Matthew Vaughn found their home in England is as unique as the home: they spotted it and fell in love, so they knocked on the front door and asked if the owners would be interested in selling. 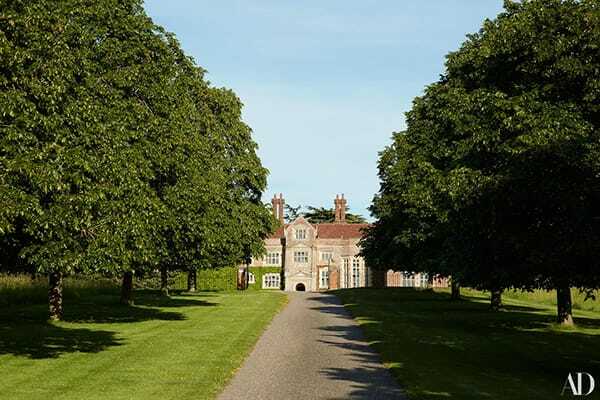 They agreed and now Claudia and her husband are the proud owners of a historic Tudor-style mansion. The home is truly breathtaking. It rich with history and beauty, which the family certainly appreciates. They’ve preserved many of the home’s original features while tastefully enhancing it with contemporary elements and the family’s own personal touch. They’ve taken their time building up the decor with items that mean something to them, adding their own page to its colorful history. Enjoy this special and inspiring home tour courtesy of Architectural Digest. The grounds are idyllic and look like they are straight out of a scene from a period film. 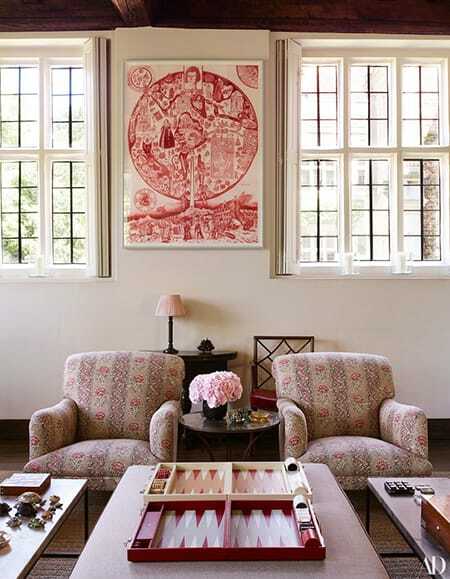 The home is decorated with whimsical, color patterns throughout, like this darling pink vignette. 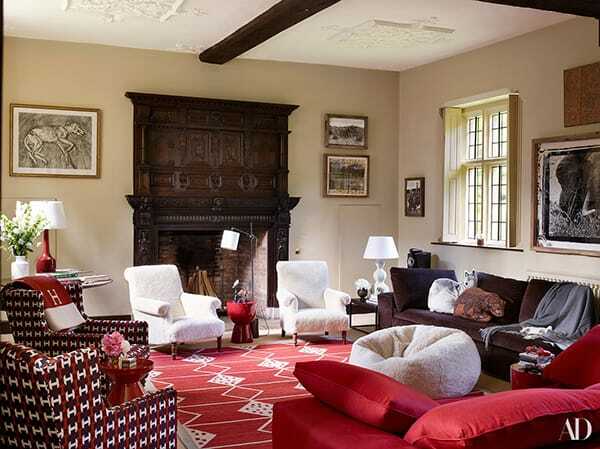 Red and white, which has a modern vibe, juxtaposes the historical elements like this original fireplace. While most of the rooms feature vibrant colors, this one stands out for its clean, white palette with just a few pops of color. The family loves to entertain and play games, which this space is perfect for. 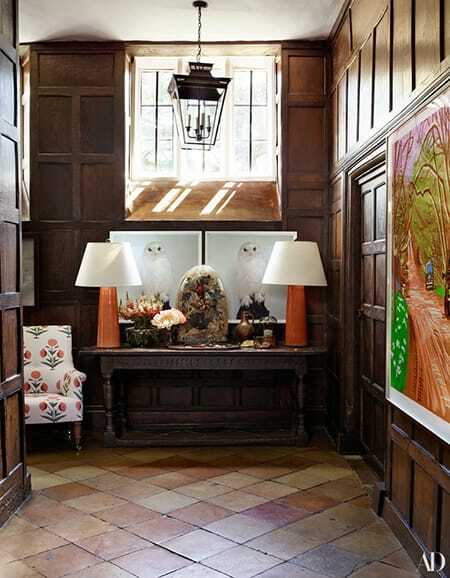 The home is full of charming corners and beautiful features, like the stunning wood paneling in this hallway. 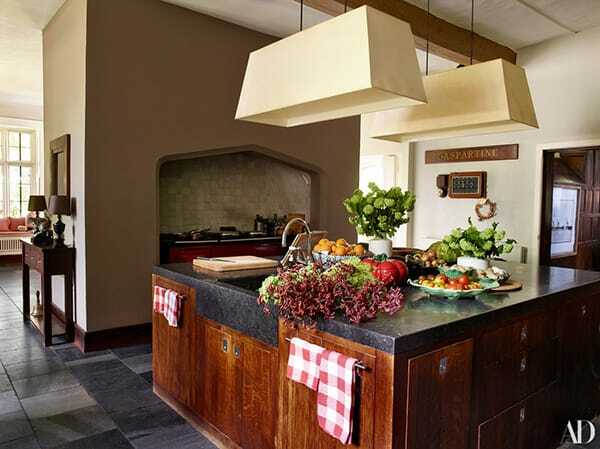 The spacious kitchen mixes original elements with contemporary features for a cozy blend. 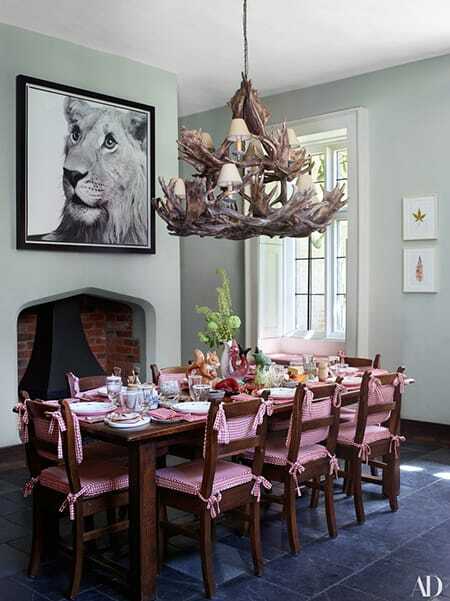 The breakfast room has a country chic vibe that is full of character. 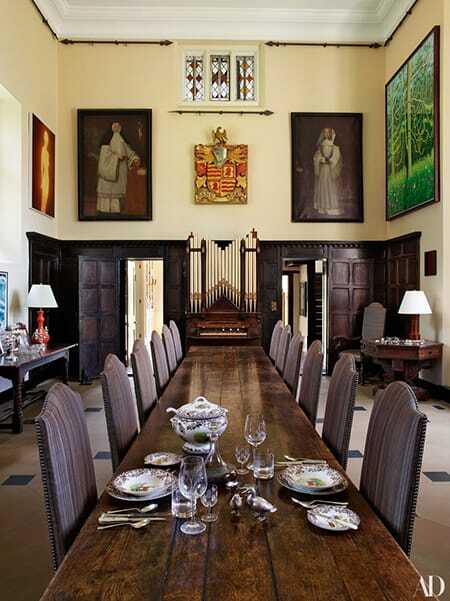 The larger dining hall completely embraces the home’s Tudor history. 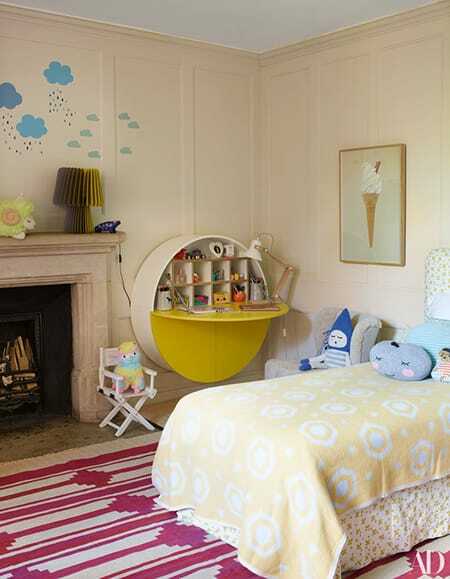 One of Claudia’s daughter’s rooms is pretty in pink with fun, feminine touches. 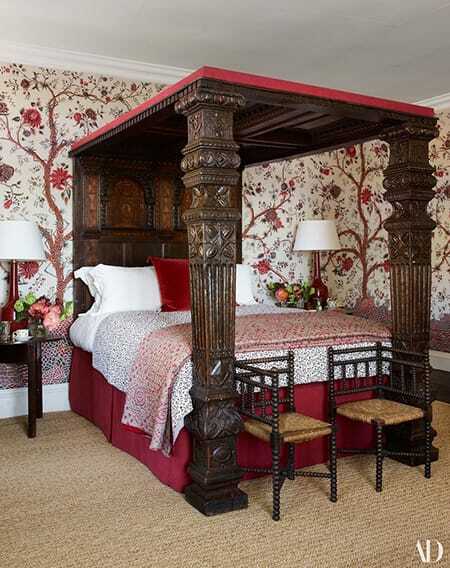 How stunning is this massive four-poster bed? Another one of the kids’ rooms is whimsical and adorable. 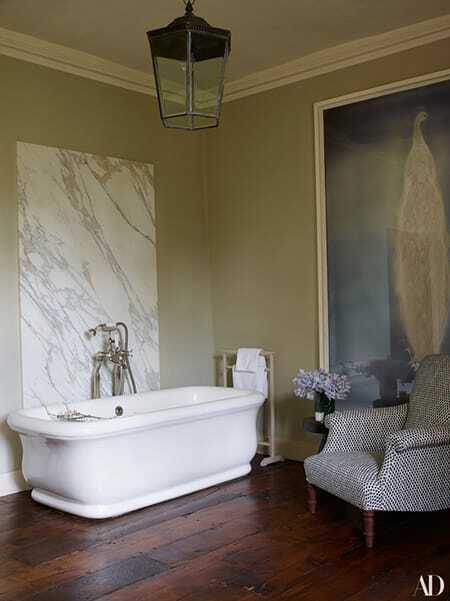 One of the bathrooms is simple and chic, mixing original hard wood floors with elegant marble. 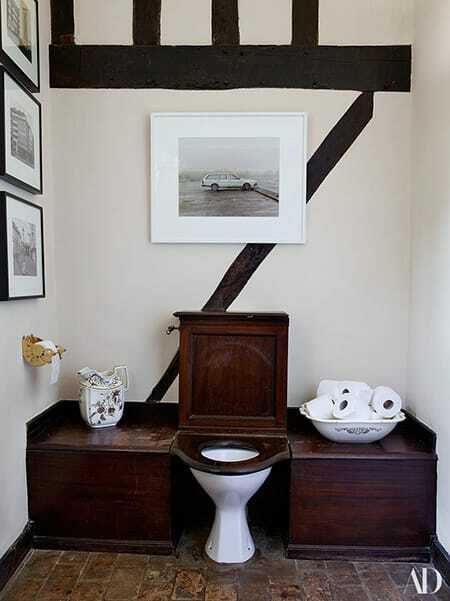 Another bathroom truly looks like a time capsule, besides a few modern touches. 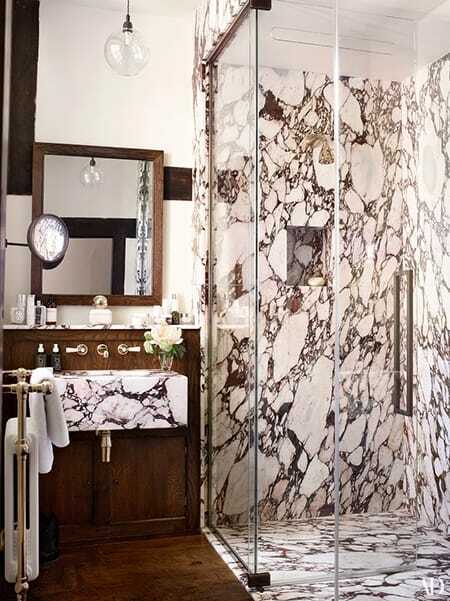 Love the stunning marble in the master bathroom. What a truly unique place to call home!